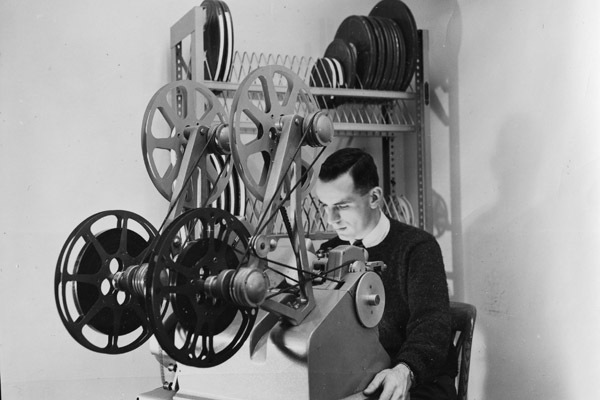 Film editors are grossly underrated, often playing the role of wizard behind the curtain. Without looking it up, who can name the picture editor (or editors) of any of these movies? Without editors, we have no movies. And without the opportunity to work closely with and learn directly from editors, indie directors are missing out. I’ve been teaching myself how to edit. I’ve covered Walter Murch. I’m currently making my way through First Cut: Conversations with Film Editors. Aside from combing through the thoughts of those with long lists of Hollywood credits to their names, I’ve been lucky to have worked with some pretty great picture editors, often before I studied great works from the film canon that utilized these techniques. In honor of those who taught me something about putting together a movie, who made me see things differently and challenged me to keep learning and try new things, here are little nuggets from film editors I have known. Marisol McIlvain: Marisol cut my first feature, I’d Rather Be…Gone. What I learned: cutting on motion, jump cuts, and using reaction shots to add drama, tension, and emotion. Jason Touissant: Jason edited my short, Faith-Based Charity, as well as the trailer for an unproduced feature, My Mirage. What I learned: leaving “air” when it’s needed before moving into a new scene, rolling before “action” and “cut” to capture footage of an actor before he or she is “acting”, and using L cuts to connect scenes. Amal Kouttab: edited We There. What I learned: music can make long moments seem shorter. Jesse Kerman: edited Mother Country. What I learned: you can hone in on the emotion of a scene through the editing. This was the first movie where I worked with “name” actors; I was strongly inclined to not cut much out of several strong performances. I admit, however, that in some instances where the writing was weak, Jesse skillfully crafted emotionally charged moments by strategic omission. Less is often more, indeed. Robert Wainscott: I’m throwing in a sound editor since I’ve learned so much from Robert. I’ve worked with him on all of my projects since 2008. What I learned: how sound can completely transform a movie, and how it can add layers to a scene. For example, for my short film Lucha, I wanted to use audio from Radio Venceremos, the underground radio station that operated during the Salvadorian Civil War. It was Robert’s idea to have the station playing not under the closing credits, but during the final moments of the movie, on a radio in a car driven by rebel fighters. Many thanks and much appreciation to the editors in my life!